Rottnest Fish Towers Fire Up! A vast network of artificial reefs is rapidly expanding around WA’s coastline creating additional places to fish and more fish to catch. It has now been two years since the deployment of the Rottnest Island fish towers. Two monster-sized fish towers south of Rottnest are the tallest steel purpose-built artificial reefs in Australia, with a different layout and construction method to the other reefs around the state. Having a much larger vertical scale and exhibiting complex habitat, the fish towers were specially designed and deployed to become a home to pelagic species. Over these two years, the fish towers have evolved into a fishing paradise with a range of species for fishers at all different levels including those looking for sport and for a feed. Since the deployment of the towers, we have seen a development of growth and a change in fish. Two years on, and over 30 species now call the fish towers home! 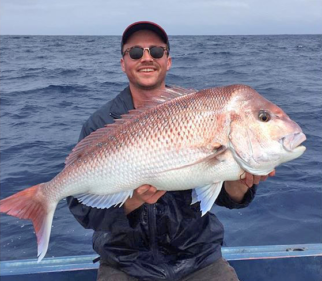 “These great fishing spots have seen species such as Baldies, Dhufish, Yellowtail Kings, Flathead, Whiting, Pink Snapper and Skippy being caught on the towers, however the most common attraction on the reefs are the schools of large pelagic species such as Samson Fish, Bluefin Tuna and occasionally Spanish Mackerel” – James Florisson, Recfishwest Research Officer. 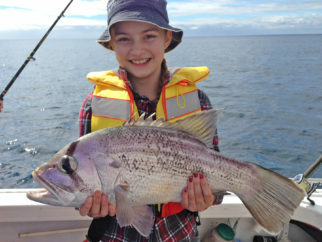 Other species that could be caught in the area around the reef include, King George Whiting, Flathead, and Breaksea Cod. While all the mentioned species are expected on the reefs, other fish may also turn up in the deployment area include Yellowfin Tuna, Amberjack and Bonito. 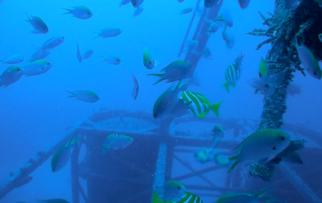 The artificial reefs work by turning underwater deserts into flourishing productive ecosystems. These habitats not only create unique, accessible and fun fishing locations, but also have a range of other benefits. They give other natural fishing spots a break, provide an area for macroalgae, sponges and coral to colonise (creating shelter and food for organisms), create a place for juvenile fish to grow, and provide a specific fishing site for a range of different fishers. 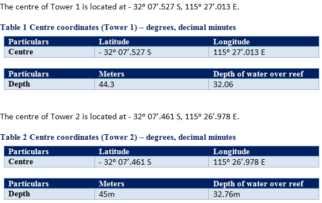 Both towers are located in ‘the paddock’ between Rottnest Island, and Garden Island, and the two structures are 150 meters apart. 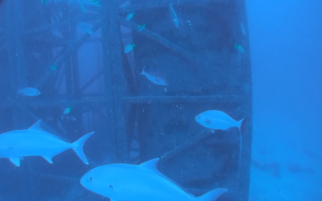 Similar to the South West artificial reefs, some of the best fish are caught around the structure, rather than right on top of it. 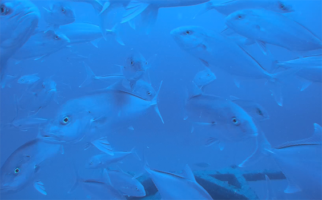 Fish can be targeted by trolling around the area and over the top of the reef using diving and/or skirted lures. Fishers may also choose to drift over and around the reef location either jigging, or drifting weighted baits in a burley trail. Jigging smaller jigs (particularly lumo patterns) between 25-35m depth directly above and around the towers will reduce snagging and is an effective method for Samson fish and Skippy. Another effective method for fishers with a little more patience is fishing the sandy area between the towers with bait (and burley if anchoring) this is a great method for Pink Snapper, Baldchin Groper, Flathead and Gummy Sharks. Anchoring right on top of reefs should be avoided as it will limit the benefit they can have to all fishers and the chances of your anchor returning. Next time you feel like a great, challenging fishing trip, make sure to head out to the Rottnest fish towers!